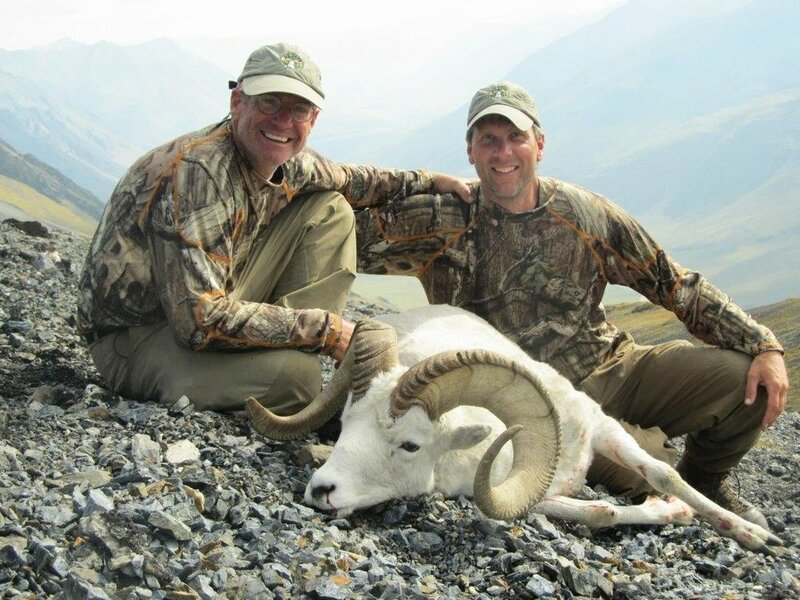 I hunt Dall’s sheep in my exclusive 795,000 acre guide use area (25A) located in the heart of the Arctic National Wildlife Refuge. I have been doing this professionally in the Brooks Range since 1994 and have an intimate knowledge of the animals and country we will be hunting. My pilot flies a Cessna 185 out of the small Athabascan village of Fort Yukon which is typically about 1 1/2 hours flight time from my hunting camp and should give you some idea of how remote this area is. This significant bush flight expense, in and out, is included in the price of the trip. During your stay, you will traverse some of the most rugged wilderness in North America, perhaps the world, and it demands that you are well equipped and in tip top shape physically and mentally. This experience is exhilarating to be sure but also unforgiving. This having been said, I will expect you to begin (or continue) a conditioning program that builds stamina and cardiovascular health. Just the hardiest of souls should consider a hunt of this magnitude and I am adamant about my plans to share this quest with only the most enthusiastic and dedicated hunters interested. consist of a large dome tent that will serve as our kitchen and sleeping quarters while there and excess storage while we are away spiking. Food during the entire hunt is backpack fare mostly consisting of freeze-dried meals or things prepared with boiled water. This is supplemented daily with various high energy snacks and we’ll enjoy meals that are somewhat more substantial when we are back at the end of the hunt. Good rams are acquired by getting back into some really rough country since the big boys like the seclusion of dead ends and are most often found where you doubt a sheep could survive. We access this country by loading up with provisions and living out of spike camps for the entirety of the trip. Nearly all hunting is done from the bottom by following drainages and scrutinizing the terrain as we go. Occasionally we’ll climb blind but generally it’s because we’ve spotted our game and we will only ascend based on our overall chances for success. A legal ram must be full curl or broomed on both horns. Eight year old sheep are also legal but we never shoot for age so it is very important for us to view potential trophies for a length of time and/or several angles to make a proper determination. Over the years, my dedicated assistant guides and I have consistently put clients within reasonable shooting distance of good rams despite the demands associated with this hard country and fully expect this trend to continue. Wolves are ever present and caribou are area residents. I host no more than four hunters (1x1) per season on this highly successful 12 day hunt. Dates are August 8-19 and August 19-30.